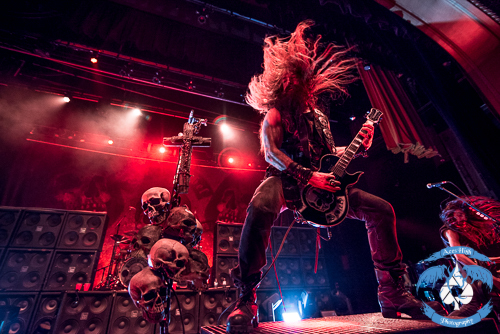 BLACK LABEL SOCIETY, CORROSION OF CONFORMITY, RED FANG In Akron, OH With Photos! A typical Ohio winter not only brings adverse weather, ice and snow; but a drought…a drought of major concert tours because of all of the aforementioned reasons. 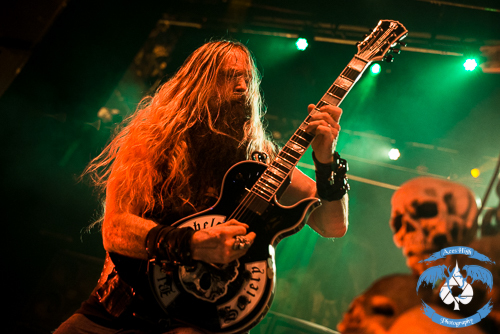 In support of his recent release, The Grimmest Hits, guitar legend Zakk Wylde and crew decided to bring the Grimmest Show On Earth to the Goodyear Theater on a desolate February evening. 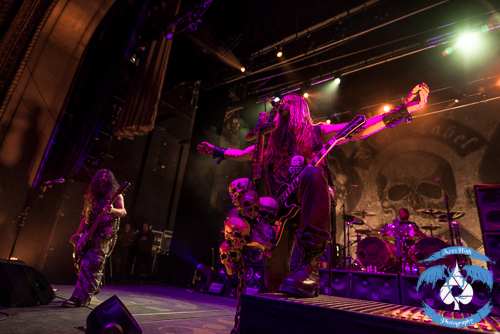 BLACK LABEL SOCIETY's Akron Chapter could not have been more excited. It was a sea of flannel, beards and BLS vests leading into the recently opened venue. I grabbed my credentials and made my way to the pit. 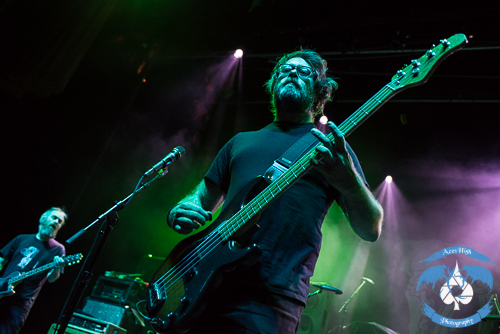 Up first and playing on select dates was the Portland, Oregon – based RED FANG. 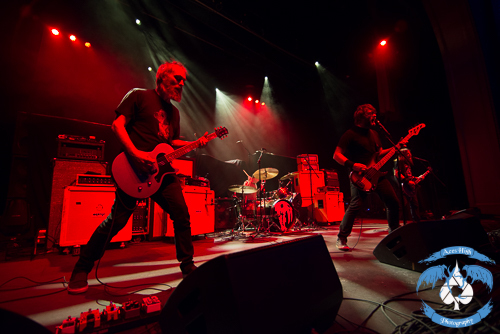 The quintessential stoner metal group grooved the crowd into a frenzy. Vocalist/bassist Aaron Beam took little time to address the crowd as the quartet blazed through a Pabst-fueled, flannel-strewn rager of a set. Although I was quite unfamiliar with the material, the energy and intensity contagiously stirred the audience as they fled the beer vendors and headed towards the pit. 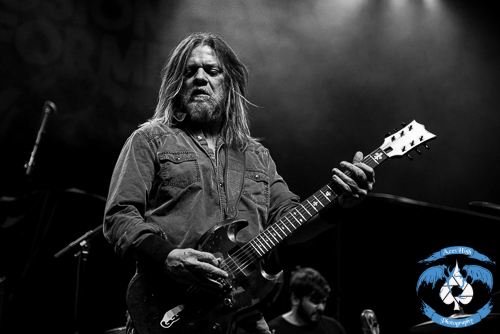 On the heels of a brand new release, the recharged CORROSION OF CONFORMITY, including long-time and now reunited guitarist/vocalist Pepper Keenan hit the stage full-force with “Bottom Feeder”. The venue had now swelled to capacity. Although I had seen various versions of C.O.C. 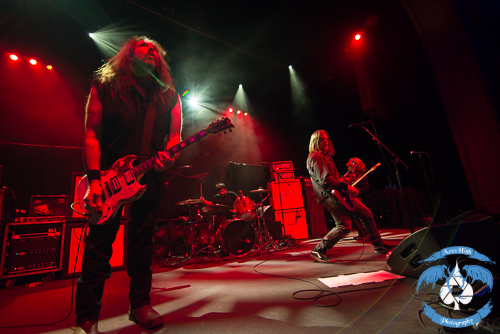 over the years, most recently with bassist Mike Dean handling the vocals, this was my first experience with the “classic” CORROSION OF CONFORMITY lineup so to speak. 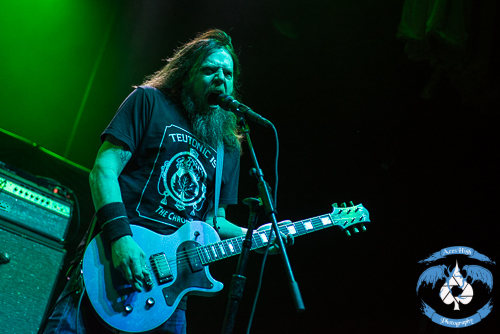 The Deliverance record was well represented in the set, with hits like “Albatross”, “Seven Days” and “Clean My Wounds” all making appearances. Although we were mere weeks removed from the release of No Cross No Crown – the first C.O.C. record with Pepper Keenan in 10 years, only “The Luddite” made it into the set, which was kind of a disappointment. 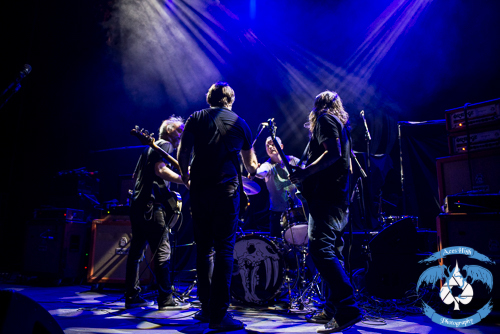 Altogether, it was a typical groove-oriented and southern-tinged night of classic C.O.C. which complemented the night’s headliner well. 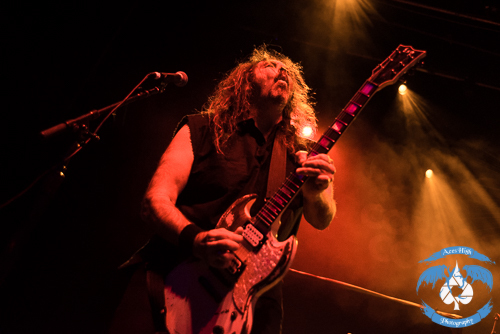 The metal scene has produced tons iconic “images” or “characters” over the last several decades. 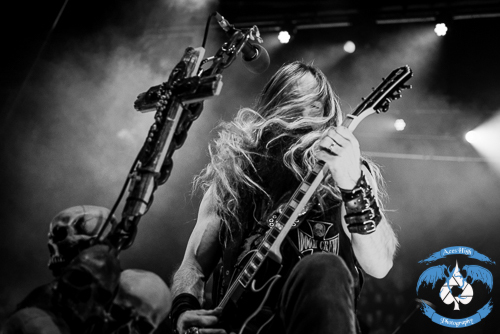 When you think of guitarists, few are as instantly recognizable as Zakk Wylde. The boots, the vest, the long golden locks of hair, the beard and the cross on the mic stand above a pile of skulls are all as iconic to me as IRON MAIDEN's beloved mascot Eddie or Diamond David Lee Roth's toe-touches. 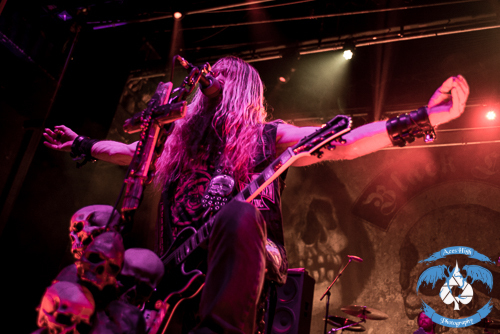 It is BLACK LABEL SOCIETY. You know what you are in for. 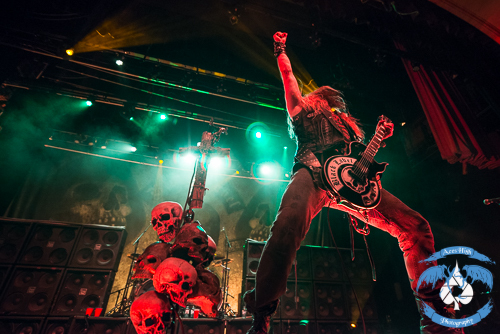 A large banner featuring the BLS logo was draped over the front of the stage, barring anyone from viewing the tremendous production package that was being assembled. A mashup of LED ZEPPELIN and BLACK SABBATH rang out as the curtain dropped and CO2 filled the air. 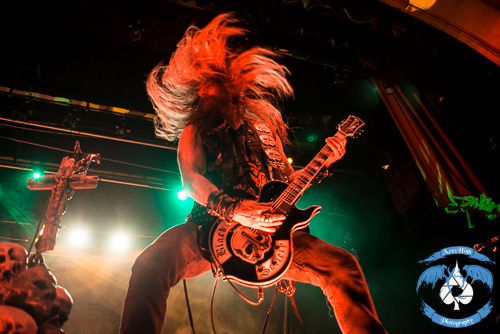 With a flash of hair, there was Mr. Wylde in all of his glory, ripping into “Genocide Junkies”. 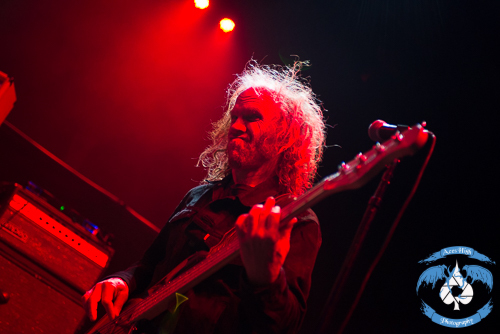 He was flanked by long-time bassist John DeServio and guitarist Dario Lorina with Jeff Fabb on drums. 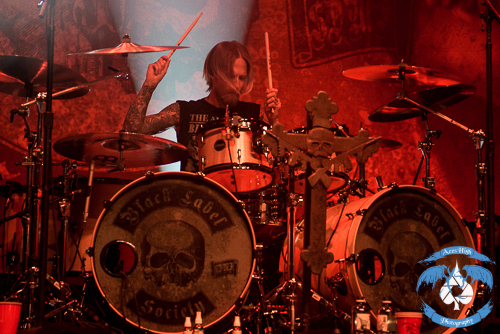 Zakk barely spoke. 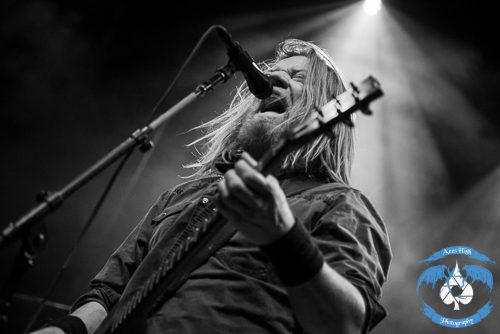 He merely let his handy guitarwork do the talking for him, taking time to beat his chest like King Kong and holding his bullseye guitar high above his head, like a Viking displaying the head of an enemy to his clan. 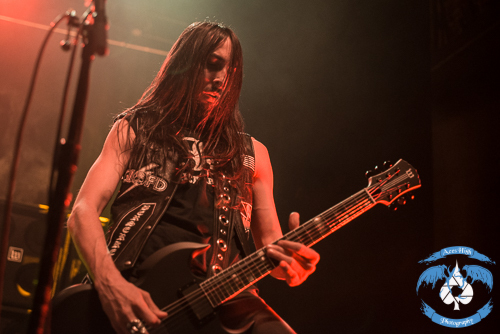 Pepper Keenan made an appearance to sing the bull-horn parts to “Suicide Messiah” and Zakk spent some time wandering down the aisles during the latter part of BLACK LABEL SOCIETY's set. 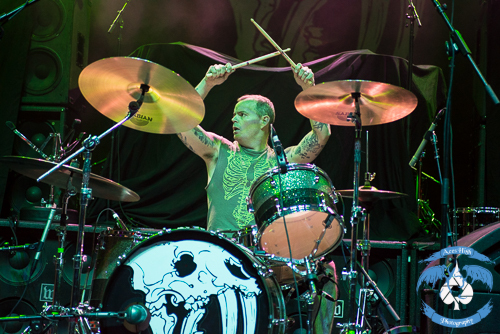 It was pure perfection; from the production value to the mix on Jeff’s drums, sweet music just oozed from the stage. 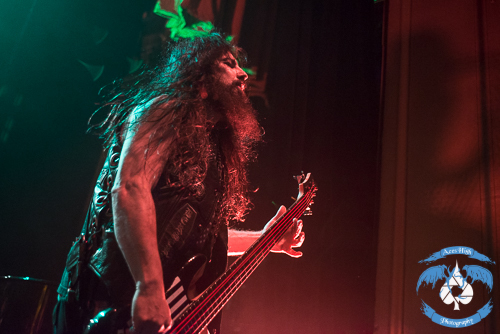 Zakk took time to pay homage to Dimebag Darrell Abbott during “Bridge To Cross” and guitarist Dario Lorina showed his musical audacity on the piano during “In This River”. Rounding out the night were set staples “Concrete Jungle” and “Stillborn”.